Rich Potter • Karen Beriss • Matthew Pauli. 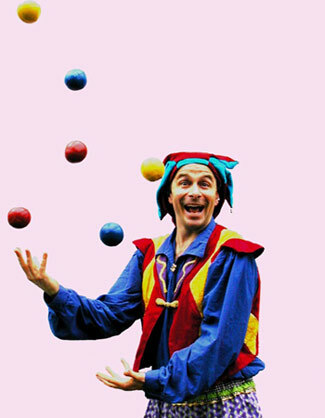 In 1982 the character of Nicolo the Gypsy Juggler was born at the Maryland Renaissance Fair, and in 1986 Nick joined forces with wife Joanne Flynn and they became "NicoloWhimsey," traveling this great land of ours and living in a pop-up trailer. NicoloWhimsey has also performed in Europe and Asia. In 1996 Nick garnered a Master's Degree in Theater with an emphasis on Play Directing from The University of MD College Park. Now Nicolo the Jester performs for children and families year-round, while adding an annual Winter-Spring residency with the Folger , directing a group of DC Public High School students in a Shakespeare play. He has managed to write an 18-book series entitled The 30-Minute Shakespeare. In his spare time, he plays Rock'n'Roll keyboards and accordion in a band called Zydeco Jed, walks the dogs in the woods, swims, and listens to all kinds of music all the time. Steven (Pipo) considers himself to be a very silly person. As a member of Ship's Company Chanteymen he has sung traditional songs at historical festivals around the Mid- Atlantic for the past fifteen years. He is also the founder and artistic director of New Old Theater which has been reviving melodramas and farces from the 1800's. 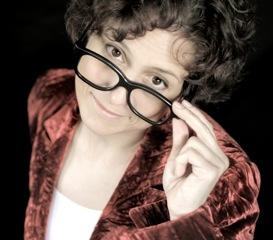 Rachel Hynes is a devisor and experimental theatre artist. She also loves comedy, so here she is. The piece you will see if part of her latest show, Half Life (a zombie love letter for no one), opening January 29, 2015 as part of the season at the Mead Theatre Lab. 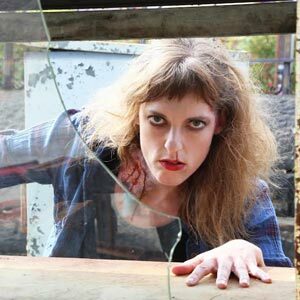 Rachel earned her MFA in devised and physical theatre from Naropa University at the London International School of Performing Arts (LISPA). Kevin, a native of Baltimore, made his break into show business at the age of 17 street performing at Baltimore's famed Inner Harbor. After graduating from high school he attended the world famous Ringling Bros. and Barnum & Bailey Clown College where he was chosen to perform and travel with The Greatest Show on Earth. Kevin eventually ran away from the circus and joined a home. 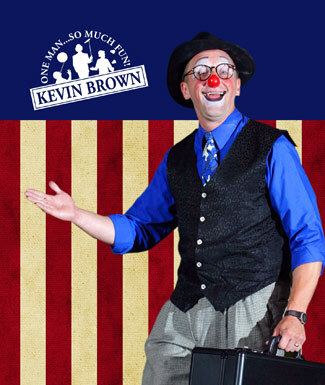 Since leaving the circus Kevin has appeared globally with his amazing antic-driven comedy. With appearances in Shanghai China, the White House and Frederick's Summerfest Theatre. Kevin is currently Asst. Artistic Director for Theatricks in Frederick, MD. 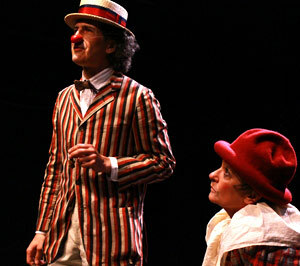 Robert Bowen Smith began studying clown in 2006 when he trained with Commedia Maestro, Antonio Fava. 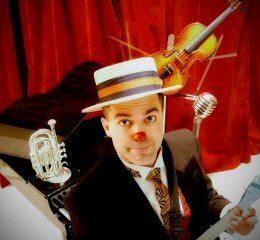 This is his first venture with Clown Cabaret and he's honored to be in such prestigious company. Just recently Smith received company membership with Synetic Theater Company. 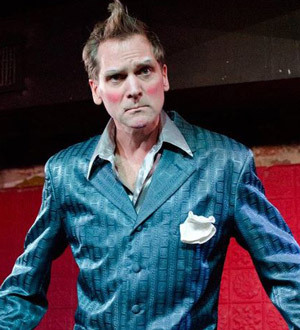 He has also worked with American Shakespeare Center, Imagination Stage, and Flying V Theater Company. Smith earned an MFA in Shakespeare and Renaissance Literature from Mary Baldwin College in 2008.